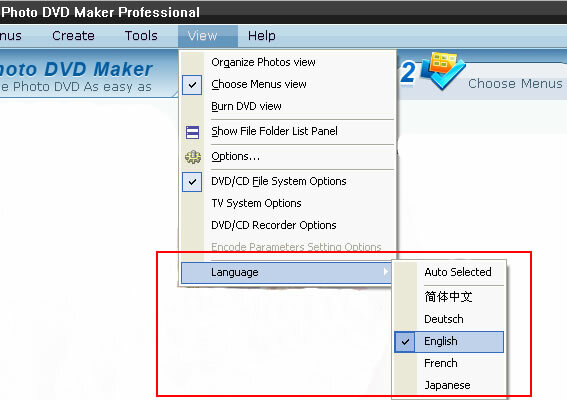 The Photo DVD Maker program will auto-detect the language of your operating system and select a language accordingly. You can set your language preference for using the photo slideshow program. To change language option, go to the menu “View > Language”, and choose one of the available languages. If your preferential language is not available and you would volunteer to translate a version for the program, you are welcome to contact us for details on how to do that. We always appreciate volunteers who help us translate the photo slideshow software into more languages. We will provide anything necessary to assist you carry out and complete the translation of the photo slideshow program.